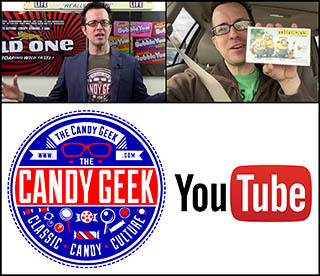 ← A Nickelodeon Green Slime candy bar? Not quite – but pretty close! 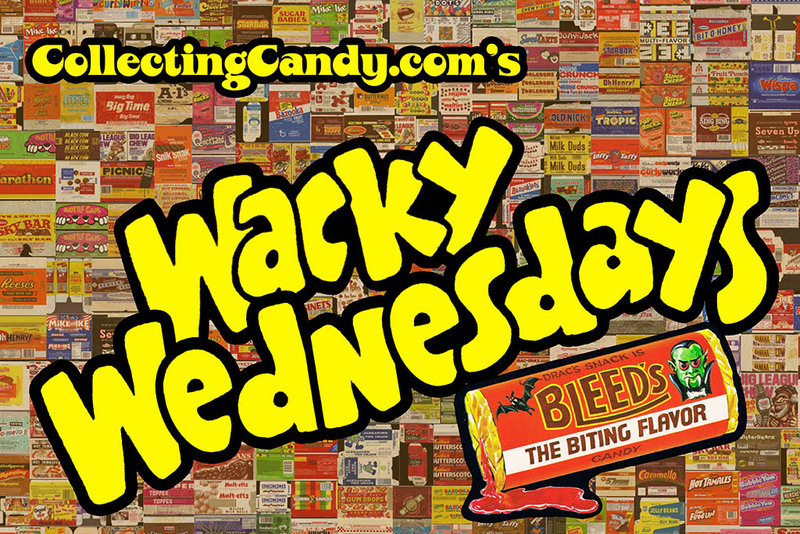 On today’s edition of Wacky Wednesdays we’ll be looking at Bleeds, a parody of Reed’s Butterscotch candy from Wacky Packages Series 16. 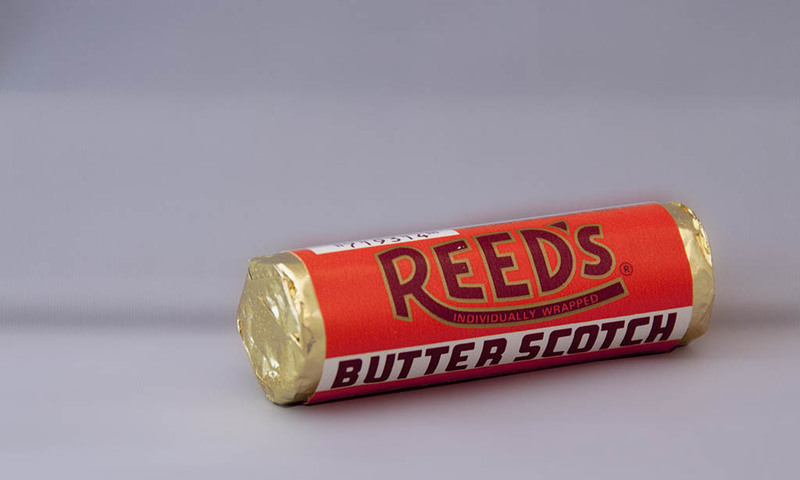 Released in 1976, Series 16 is notable as it was the last of the original 1970’s Wacky Packages series run. There would be no series 17, and no follow-up of any kind until a number of years later. 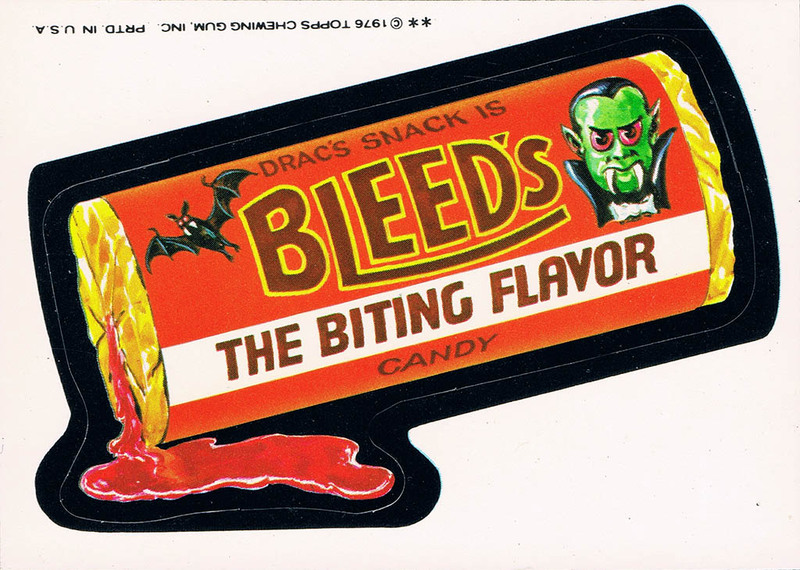 Bleed’s is a pretty great sticker as it’s a vampire-themed Wacky Package and those just stand above. How can you not love Wacky Packages with vampires? 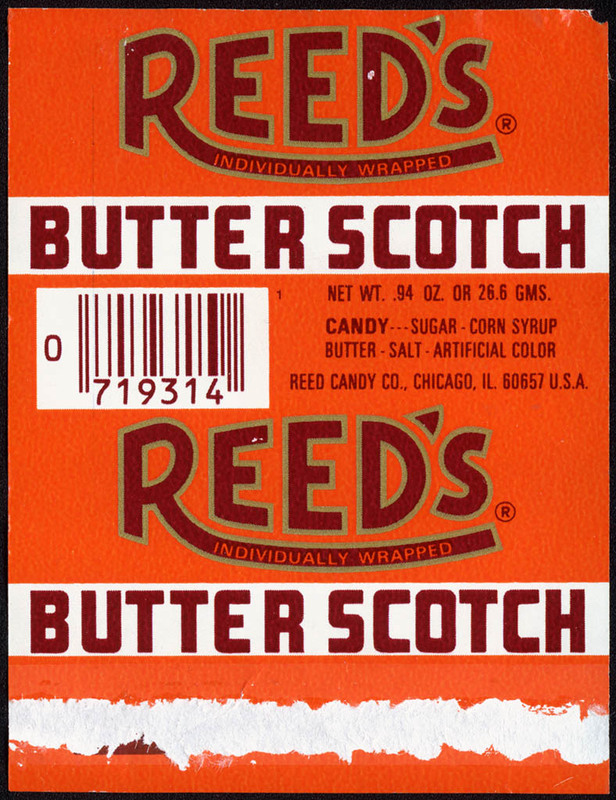 The vintage Reed’s Butterscotch roll pictured dates back to the same time period that the Bleed’s sticker was released, give or take a few years. It may not be the exact version parodied in Bleed’s, but it’s awfully close. And that’s it for today’s edition of Wacky Wednesdays. See you next time! This entry was posted in 1970's, Hershey, Topps, Wacky Packages and tagged 1970's candy, butterscotch candy, candy collecting, candy collection, candy collector, candy wrapper collection, candy wrapper collector, collectible, collecting candy, confectionery, confections, hard candy, packaging, Reed's candy, roll candy wrappers, sweets, Topps, vintage candy wrapper, Wacky Packages, Wacky Packages original products, Wacky Packages stickers, Wacky Packs, wrapper. Bookmark the permalink. 2 Responses to Wacky Wednesdays – Bleeds!